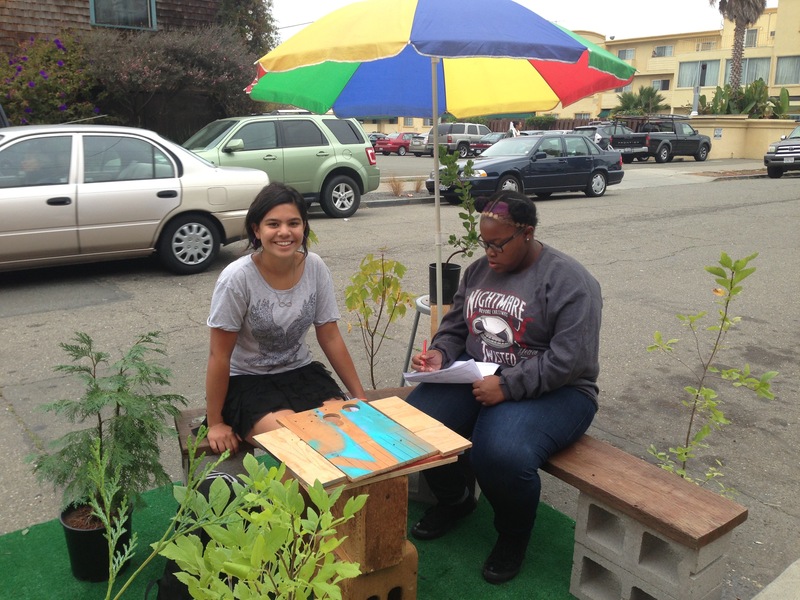 Every September, cities around the world celebrate Park(ing) Day, an annual open-source global event where citizens, artists and activists collaborate to temporarily transform metered parking spaces into “PARK(ing)” spaces: temporary public places. 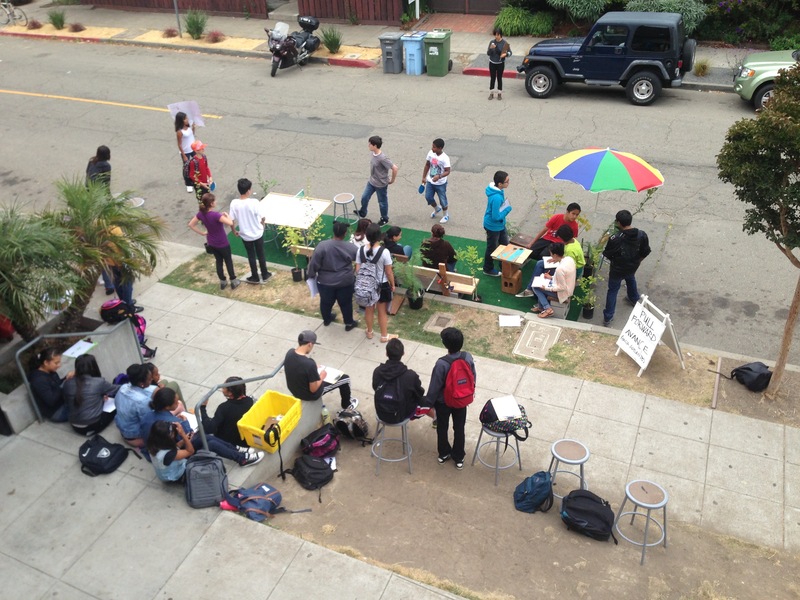 For our first project of the 2013-2014 school year, our middle school students were charged with the design, prototyping, dress-rehearsal build-out, and construction of a pop-up park in front of the school. Because we had four class periods, each group of 25 students had only 60 minutes to build and deconstruct their park design. 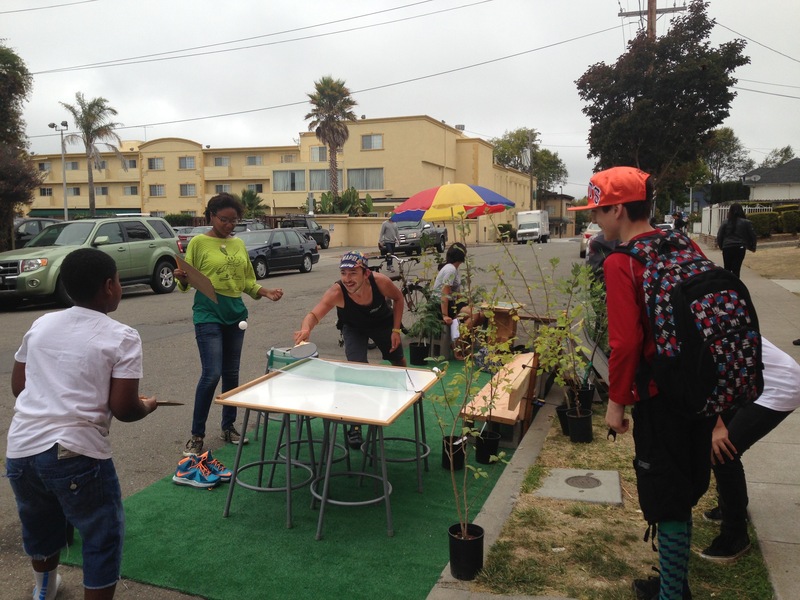 Using only salvaged materials, the students created seating, shaded gathering spots, and a ping-pong table that was enjoyed by neighbors and passers-by. 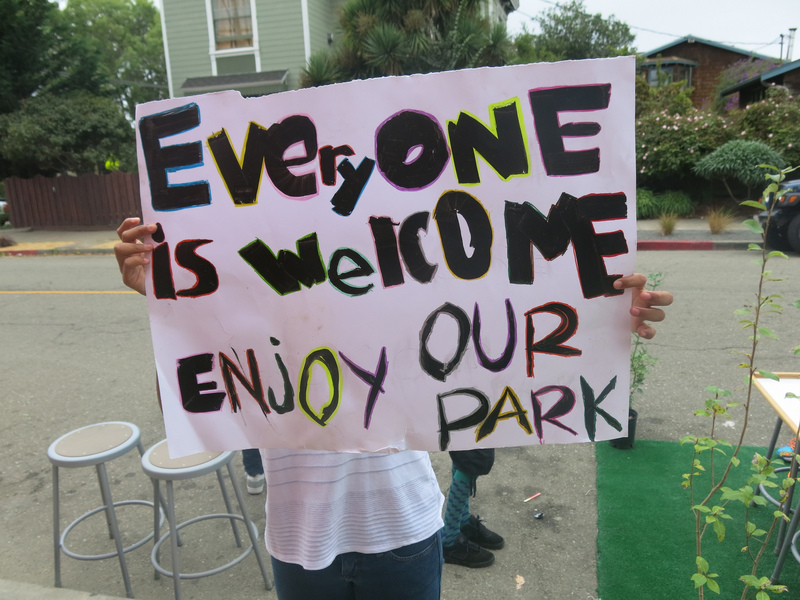 The project as a whole was a study on urban public space and the history of how green space in cities has promoted health and social interaction.